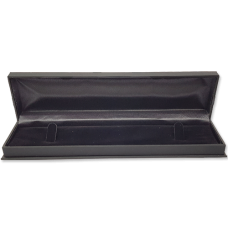 Suede Bracelet Box- A15 Black/Blue/RedSize : 22.8*5.5*2.3 This elegant Bracelet box gives your jewelry a fresh look. We offer a range of luxurious, classic wooden jewelry boxes in all shapes. For the best in look and feel, also look to our collection of velvet & suede jewelry boxes. Make y..
Suede Bracelet Box- B15 Black/Blue/RedSize : 21.8*5.5*2.4 This elegant Bracelet box gives your jewelry a fresh look. We offer a range of luxurious, classic wooden jewelry boxes in all shapes. For the best in look and feel, also look to our collection of velvet & suede jewelry boxes. Make y..
Suede Bracelet Box- C15 Red/Black/BlueSize : 24.6*5.4*2.5 This elegant Bracelet box gives your jewelry a fresh look. We offer a range of luxurious, classic wooden jewelry boxes in all shapes. 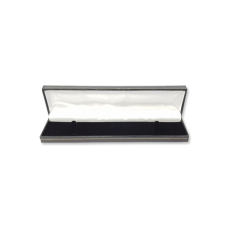 For the best in look and feel, also look to our collection of velvet & suede jewelry boxes. 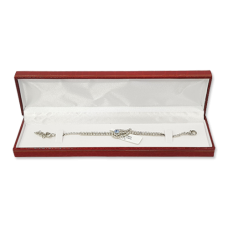 Make y..
Suede Bracelet Box- D15 Red/Black/BlueSize : 21.9*5.6*2.5 This elegant Bracelet box gives your jewelry a fresh look. We offer a range of luxurious, classic wooden jewelry boxes in all shapes. 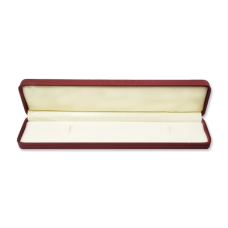 For the best in look and feel, also look to our collection of velvet & suede jewelry boxes. Make y..